U.S. District Judge John D. Bates dismissed Tuesday a lawsuit challenging the Obama administration's alleged targeted killing program, saying a federal court "lacks the capacity to determine whether a specific individual in hiding overseas, whom the Director of National Intelligence has stated is an 'operational' member of [al Qaida in the Arabian Peninsula], presents such a threat to national security that the United States may authorize the use of lethal force against him." Last month Bates heard nearly four hours of argument from the parties in the case brought by Nasser al-Awlaki, the father of Anwar al-Awlaki, an American citizen living in Yemen where he is serving as an operational commander of al-Qaida in the Arabian Peninsula (AQAP). Since arriving in Yemen in 2004 al-Awlaki has been involved in—planning, recruiting, and sanctioning—dozens of attacks against the United States. On Aug. 30, 2010, the ACLU filed suit in federal court in Washington, challenging the government's authority to carry out "targeted killings" of U.S. citizens, such as al-Awlaki, and said officials, such as President Obama, are being given "sweeping authority to impose" death sentences on a U.S. citizen without legal approval. In dismissing the case, Bates said there are a number of important questions at play. "Can a U.S. citizen – himself or through another – use the U.S. judicial system to vindicate his constitutional rights while simultaneously evading U.S. law enforcement authorities, calling for 'jihad against the West,' and engaging in operational planning for an organization that has already carried out numerous terrorist attacks against the United States?," Bates asked. On the other hand, "can the Executive order the assassination of a U.S. citizen without first affording him any form of judicial process whatsoever, based on the mere assertion that he is a dangerous member of a terrorist organization?" Calling the case both "unique and extraordinary," Bates dismissed the complaint on procedural grounds. As the judge hinted at during oral arguments, the decision rested on whether Awlaki's father had the ability to bring the suit and whether a federal court could review the alleged targeted-killing program. On both counts, the court answered no. Thus, as Bates explained, "the serious issues regarding the merits of the alleged authorization of the targeted killing of a U.S. citizen overseas must await another day." The court began by examining whether or not Awlaki's father had "standing" to bring the case, concluding that Nasser al-Awlaki could not bring the suit either on behalf of his son or on his own. Not only has Awlaki not been denied access to the courts—a prerequisite for his father bringing the suit—but he has publicly condemned the U.S. judicial system and expressed no interest in having the case brought on his behalf. Highlighting the extensive public record, Bates explained that there is nothing preventing al-Awlaki from seeking justice himself. "While Anwar al-Awlaki may have chosen to 'hide' from U.S. law enforcement authorities, there is nothing preventing him from peacefully presenting himself at the U.S. Embassy in Yemen and expressing a desire to vindicate his constitutional rights in U.S. courts." Rather, despite continued communication with the outside world, through videos, interviews, and AQAP's Inspire magazine (see here, here, and here), Awlaki has never sought access to American courts. On the contrary, "several times during the past ten months, al-Awlaki has publicly expressed his desire 'for jihad against the West' and he has called upon Muslims to meet 'American aggression' not with 'pigeons and olive branches' but 'with bullets and bombs.'" Since late 2009, al-Awlaki "has taken on an increasingly operational role in AQAP," said Director of National Intelligence James Clapper in a statement filed in the court case in August. Awlaki, Clapper said, has recruited terrorists and planned and facilitated attacks in the United States and abroad. IPT News has reported many of Anwar al-Awlaki's terrorist connections, linking him to the Fort Hood massacre, the Christmas Day bomb plot, and the failed Times Square attack. "He has involved himself in every aspect of the supply chain of terrorism—fundraising for terrorist groups, recruiting and training operatives, and planning and ordering attacks on innocents," the U.S. government explained in designating him. As important as the issues presented in this case are, Bates' opinion suggests he is unwilling to expand judicial access to an individual who has expressed no such interest. 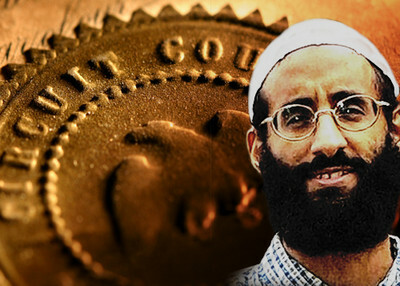 "Whatever the reason for Anwar al-Awlaki's failure to seek legal redress for his alleged inclusion on the CIA and JSOC 'kill lists' – a mistrust of or disdain for the American judicial system, a desire to become a martyr, or a mere lack of interest in pursuing a case thousands of miles away from his current location," the court refused to expand access to al-Awlaki. whether (assuming plaintiff's proffered legal standard applies) Anwar al-Awlaki's alleged terrorist activity renders him a 'concrete, specific, and imminent threat to life or physical safety." These considerations, the court acknowledged, are simply not within the purview of federal courts. "It is not the role of judges to second-guess, with the benefit of hindsight, another branch's determination that the interests of the United States call for military action." Although the procedures remain classified, a Pentagon document titled "Joint Targeting Cycle and Collateral Damage Estimation Methodology," shed some light on the procedures for targeted identified terrorists. Clearly, Bates expressed discomfort with the decision. "This court recognizes the somewhat unsettling nature of its conclusion – that there are circumstances in which the Executive's unilateral decision to kill a U.S. citizen overseas is 'constitutionally committed to the political branches' and judicial unreviewable. But this case squarely presents such a circumstance."